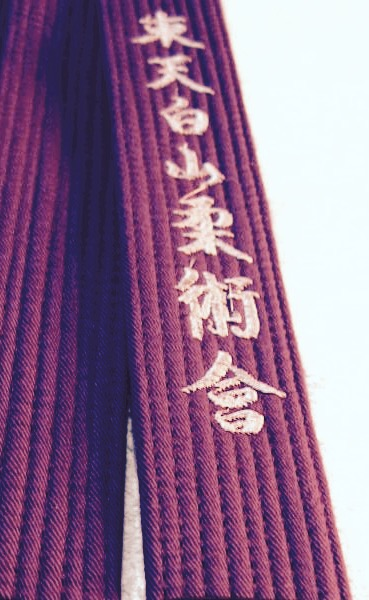 Embroidered belts. 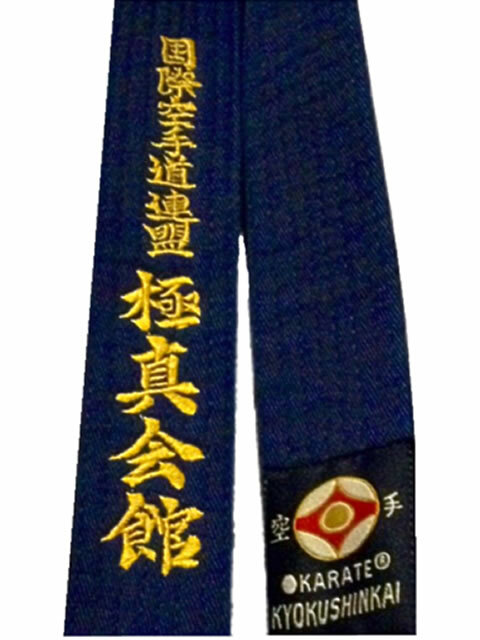 Available any Traditional Kyokushin - IKO belt embroidery, Kyokushinkai Kanji (as per Gi badge), Shinkyokushin and Kyokushinkan embroidery styles available. 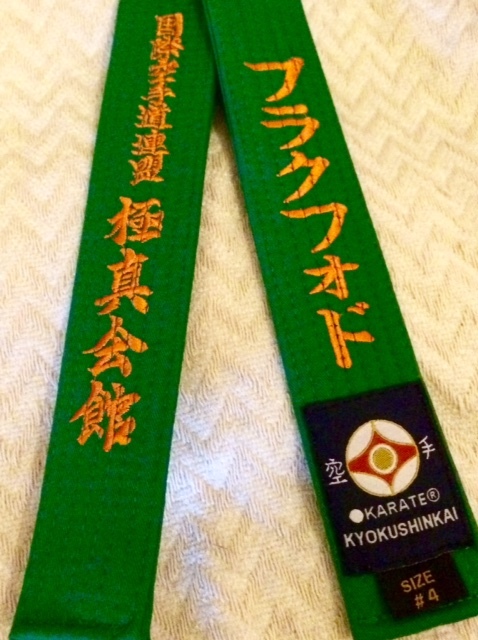 Embroidery and Tabs are availble for any style or group by request. 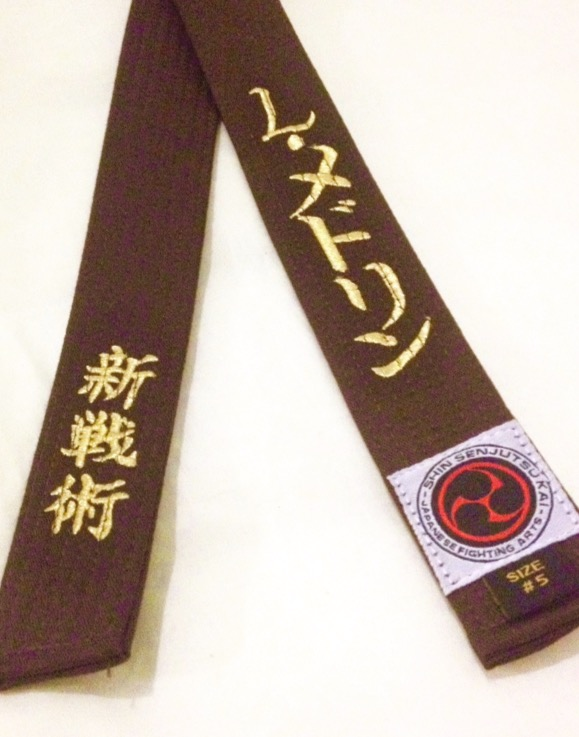 Our Premium Black Belts also embroidered free, with practitioners name and Dan bars at no additional cost! 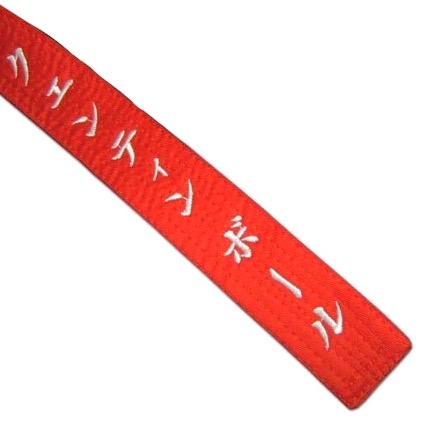 Names in Katakana may also be included on colour belts at an additional cost. 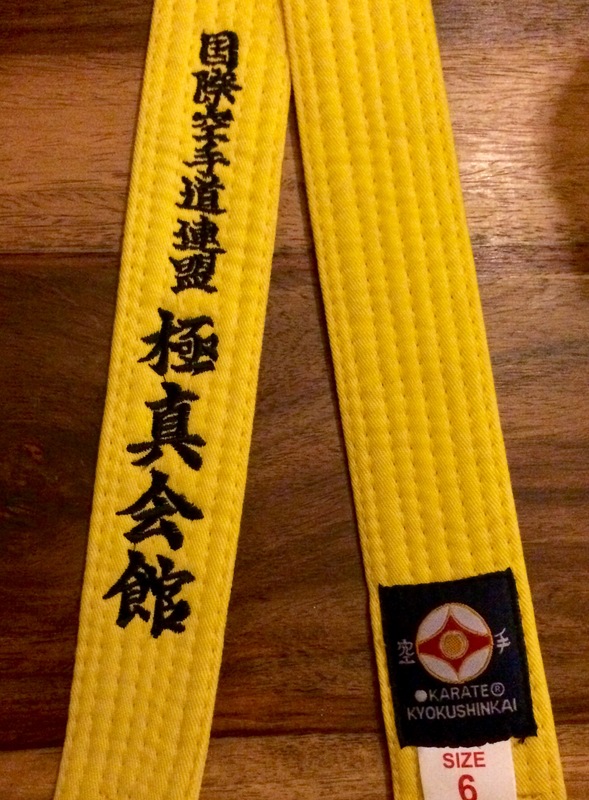 Free translation is available. 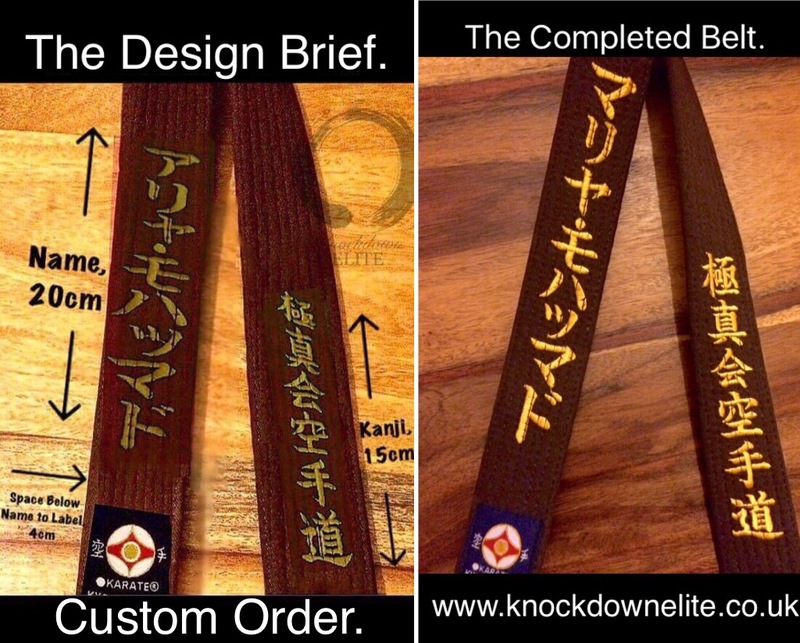 Knockdown Elite allows for full customisation & will assist with the whole process keeping you informed from design proof to completion. 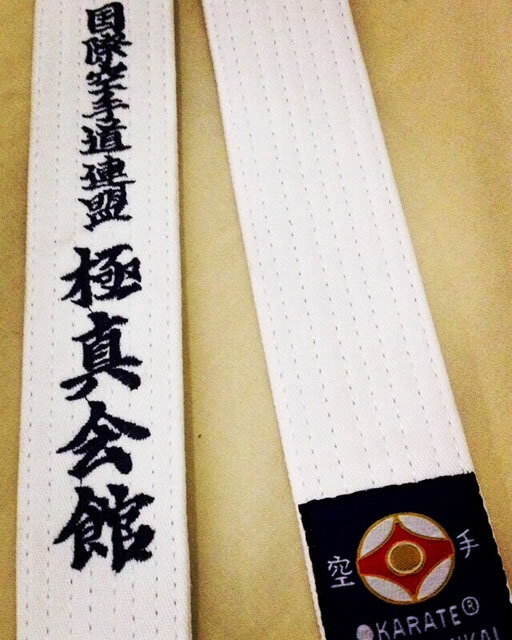 Our Premium Belts. 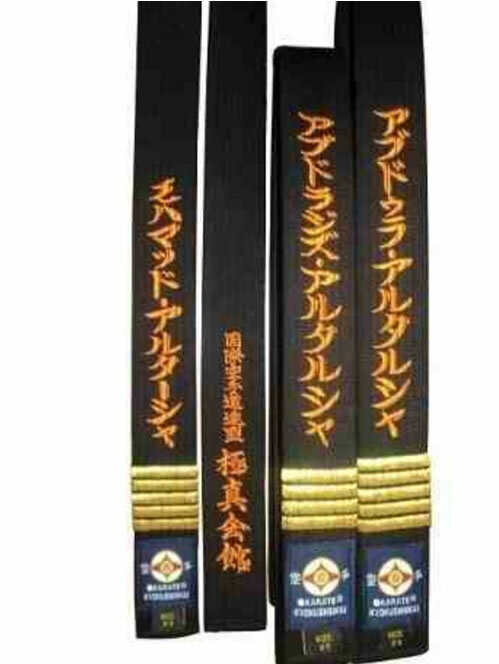 Embroidered Yudansha black belts. 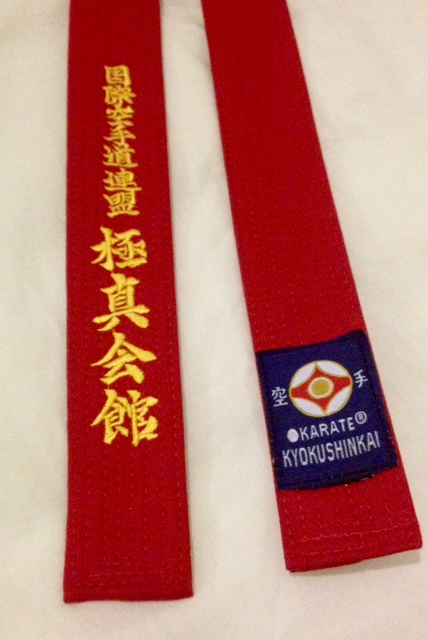 Cotton or silk belts. Any style.